Just Games, Rochester and Penfield’s friendly local source for board games, puzzles, role-playing, miniatures and more is proud to invite you to our first Open House in our new location! Festivities kickoff at noon this Saturday, March 30! What will be happening at this open house? Well first, just for popping by, we’ll give you a chance to win this amazing copy of the collector’s edition of Pandemic with pre-painted character minis – totally free, just for checking us out! We will also have juice, donuts, and refreshments available for all as you enter the store, guided tours of the new sections, and a chance to check out our event center by playing in one of the events below. 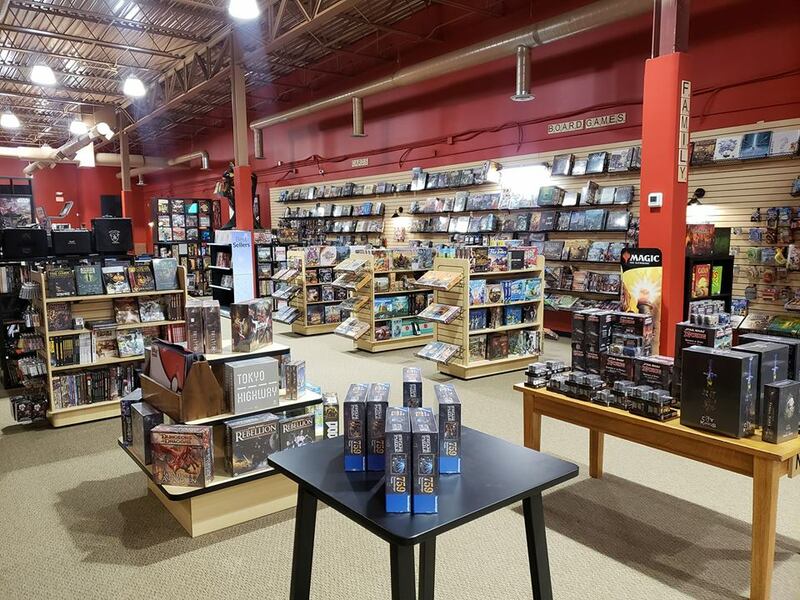 Be sure to check out our new, triple-sized board game rental library, massive selection of puzzles, expanding miniatures section (including one of Rochester’s only sources of Vallejo Air paint), amazing selection of role-playing, lounge seating and more! So come in and see the new store, win some games, learn some games and play some games!